Our T.D. 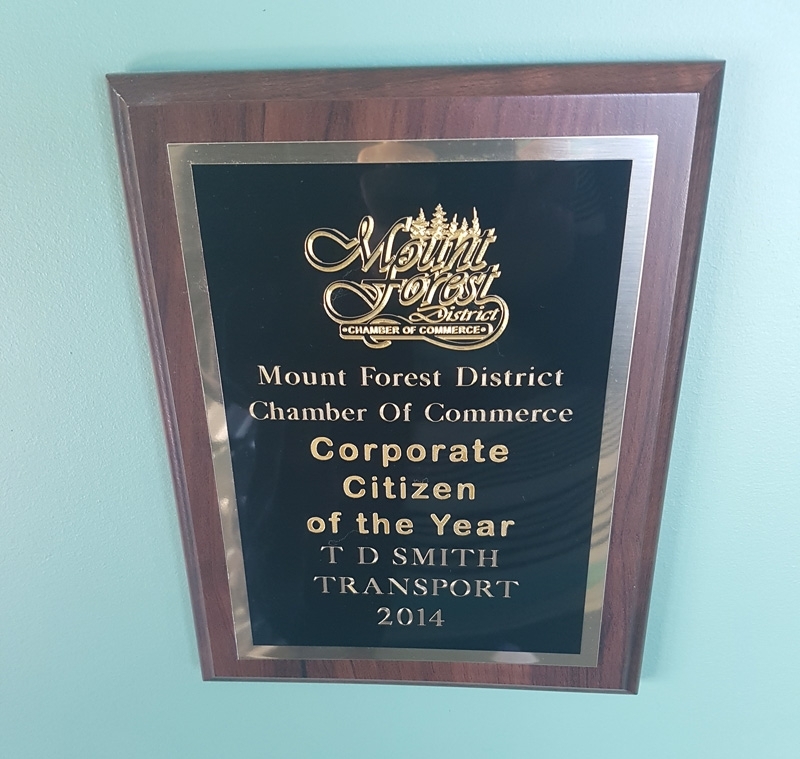 Smith Transport family is pleased to accept the Mount Forest District Chamber of Commerce Corporate Citizen of the Year award for 2014. One of our driving values is to give back to the community in which we live, and we are pleased to be honoured by our local chamber for working together with our local community to make it a more friendly, safe and pleasurable place to live.